The Arboretum, State Botanical Garden of Kentucky, was established in 1991 as a joint effort between the University of Kentucky and the Lexington-Fayette Urban County Government. This 100 acre green-space in downtown Lexington includes one of the last remnants of inner-bluegrass woodlands, as well as a home demonstration garden, rose garden, and children’s garden. 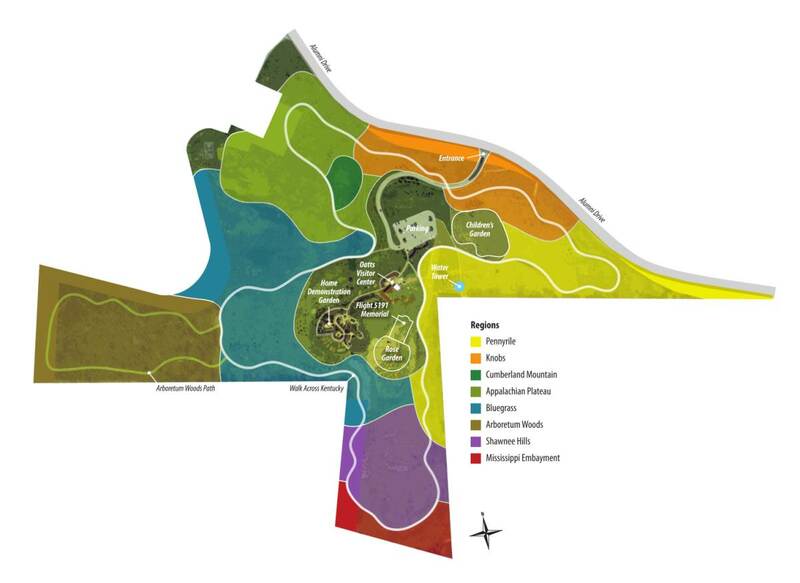 The Arboretum’s signature collection is the Walk Across Kentucky, a paved path traversing 75 acres of Kentucky’s seven physiographic regions and ecosystems. The Arboretum mission is to showcase Kentucky landscapes and serves as a resource center for environmental and horticultural education, research, and conservation.